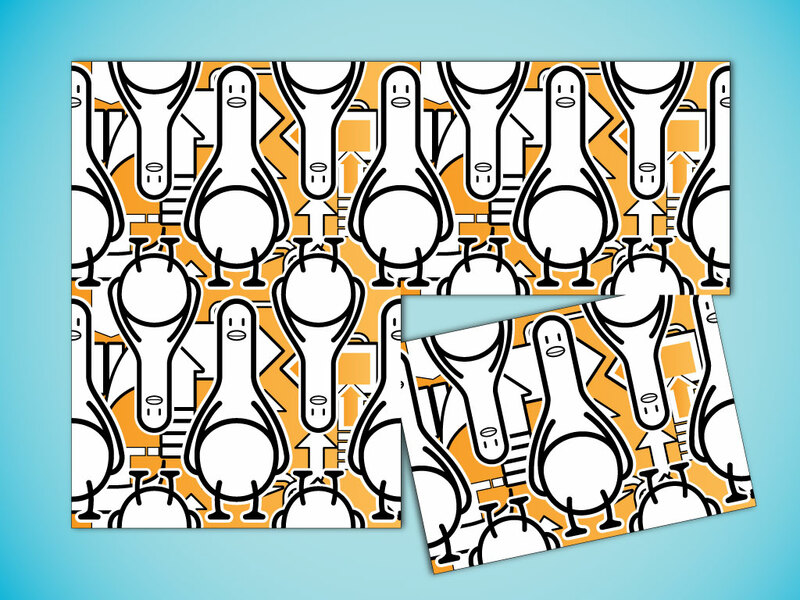 Download this cartoon repeating pattern of a duck for your designs. A unique tile for textiles, wallpapers and all your personal designs. Download as AI and PDF for your backdrop collection. Tags: Background, Bird, Cartoon, Character, Duck, Pattern, Repeat.